A chorus of Senate naysaying has investors worried. President Bush’s surprise announcement to abolish the double tax on dividends sparked the best early year stock market gain in fifteen years. But now we hear the usual drab worries over the economic recovery, corporate profits, and the potential military invasion of Iraq. Meanwhile, the market rally has dissipated. From all angles, the stage is set for a positive market outlook in 2003. New profit releases by the nation’s biggest companies have in fact turned upward. Fourth-quarter earnings for 200 reporting S&P 500 firms are up about 12% year-on-year. And a Wall Street Journal poll shows that 341 companies have posted an aggregate net earnings increase of 28% on continuing operations. On top of higher profits, low interest rates, significant liquidity from the Federal Reserve, rising commodity prices, and strong productivity are all positive events for stock investors. But shareholders remain demoralized. Instead of investing more, they’re asking, “What have you done for me lately?” The answer, in their minds, is nothing much. President Bush hit the bull’s eye when he made the proposal to slash the dividend tax on investors. As Microsoft’s recent decision to declare a dividend shows, the mere expectation of this new tax incentive is capable of changing corporate — as well as investor — behavior. The Republican dominated House will soon pass a tax bill that is even larger than the president’s. But a chorus of Senate naysaying has investors worried that the vital dividend reform won’t make it through Congress alive. That is why stocks have been selling off after the initial new-year surge. On the Republican side of the aisle, there’s no surprise from Rhode Island’s Lincoln Chafee or Arizona’s John McCain, senators who voted against Bush’s first tax cut in 2001. But George Voinovich of Ohio, Susan Collins and Olympia Snowe of Maine, and even Republican warhorse Chuck Grassley of Iowa, have all expressed public doubts about the Bush plan. Conservative Democrats who backed Bush two years ago are also threatening to peel off from his new proposal. John Breaux of Louisiana, Ben Nelson of Nebraska, Diane Feinstein of California, Max Baucus of Montana, and Blanche Lincoln of Arkansas are threatening to vote against Bush in a reprise of Herbert Hoover austerity economics. The great investor class is mightily worried about all this — and it’s holding its breath, waiting for President Bush to launch a counter-offensive. Meeting with economists in the White House Cabinet Room is not what shareholders want to see. They want the new great communicator George W. Bush out selling his plan in the key heartland red states, and maybe even in some of the blue bi-coastal states. More, dividend-conscious investors are praying that the president will throw the long bomb into the end zone of tax cuts during his upcoming State of the Union speech. They want him to go over congressional heads and appeal directly to the 90 million shareholders who want a dividend tax cut. They want him to meet privately with individual Republicans and remind them that the only reason there is a GOP majority in the Senate is because he made a Herculean effort prior to the mid-term elections. Investors also want Bush to work the Democrat side of the aisle — to remind the red-state Democrats that their constituents are tax-cutting Bush supporters. They also want him to turn on the Bush charm, and let everyone know that he’s ready to do business. Whatever it takes to get dividend reform turned into law. By itself this fiscal reform could raise the present value of future stock prices by more than 30% in the next year or two — unleashing the capital needed to rebuild American business. Unique in U.S. economic history, it was the stock market-driven collapse of business, not consumer hibernation, that caused the latest economic downturn and drove the unemployment rate higher. Just as consumer households rely on their home values, businesses depend on their market capitalized share prices. Business, manufacturing, technology advances, capital spending, and jobs have been stuck in a slump for three years, all because of a stock market plunge that no one expected to happen. Real economic recovery — based on a true business recovery — will not occur until this market plunge turns into a full-scale rally. This is not likely to happen until the dividend tax-cut trigger is pulled on Capitol Hill. Outside of Washington, that’s what the country is waiting for. 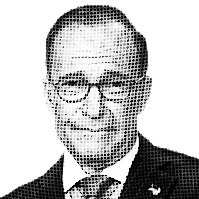 — Mr. Kudlow is CEO of Kudlow & Co.